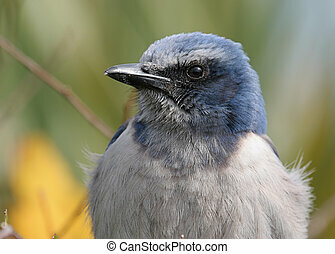 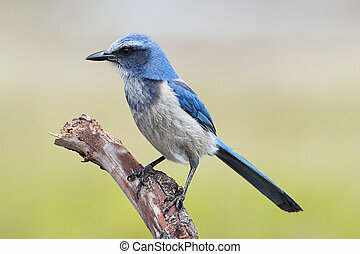 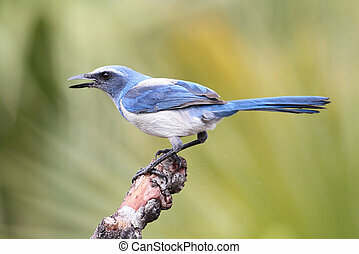 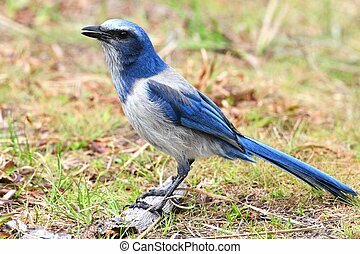 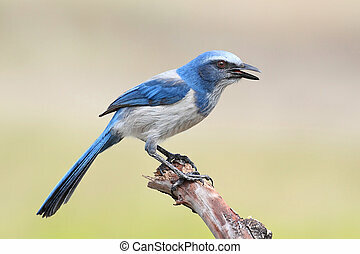 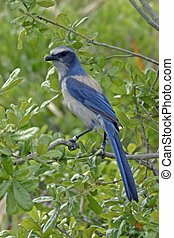 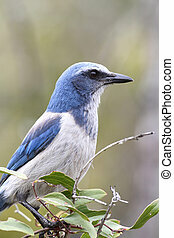 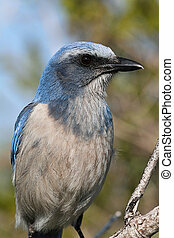 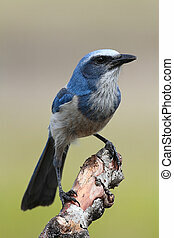 Florida scrub-jay - aphelocoma coerulescens. 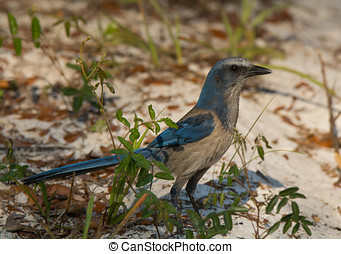 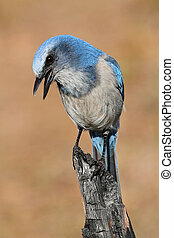 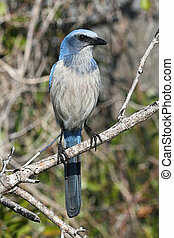 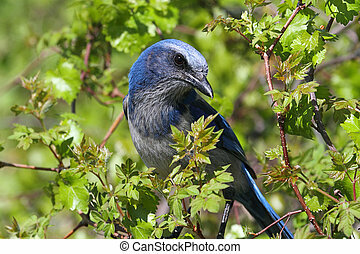 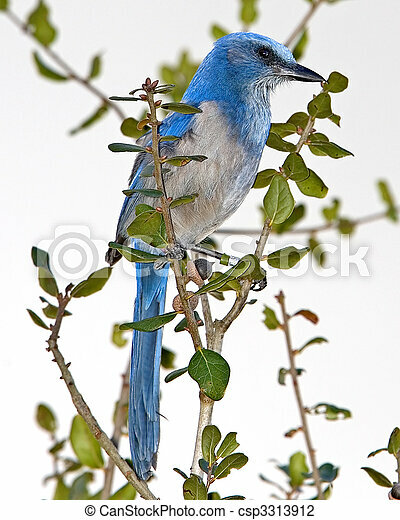 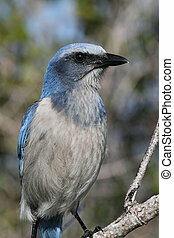 A beautiful Florida Scrub Jay, a federally threatened species, forages for food on a central Florida scrub area. 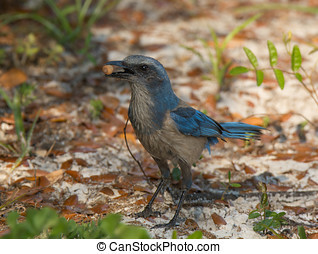 A beautiful Florida Scrub Jay, one of the rarer birds in North America, photographed foraging for acorns in the central Florida scrubland it calls home.